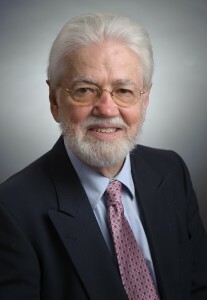 DON RANLY became head of the magazine sequence in 1976 (a position he held until 2004), just two years after he joined the Missouri School of Journalism faculty. Before making Missouri his home, Ranly worked for eight years in Wisconsin, Ohio and Indiana as a newspaper reporter, a magazine editor, a weekly columnist, a radio host and a television producer, director and host. Ranly’s broad experience is also reflected in his education: he has master’s degrees in journalism and speech from Marquette University, a certificate in film, radio and television from New York University, and a doctorate from the Missouri School of Journalism. During his 30 years of service at the school, he has conducted nearly 1,000 writing and editing seminars for press associations, corporations, associations and individual newspapers and magazines. He has also authored or co-authored five books and published several audio- and videocasettes on reporting, writing and grammar. In 1995, Ranly received a Mizzou Alumni Association Faculty-Alumni Award and was named the O.O. McIntyre Distinguished Professor of Journalism. Three years later, he won a University of Missouri Golden Chalk teaching award and co-authored Publication Editing (Kendall/Hunt). In 2002, he was named a Fellow of the International Association of Business Communicators; in 2003 he won one of the University of Missouri’s most prestigious teaching awards, the William T. Kemper Fellowship. In 2012 Ranly was named an “Icon of Education” by Ingram’s Kansas City Business Magazine. Brian S. Brooks, George Kennedy, Daryl Moen, Don Ranly. Telling the Story: The Convergence of Print, Broadcast and Online Media, 5th Edition, New York: Bedford/St. Martin's Press, 2013. Brian S. Brooks, George Kennedy, Daryl Moen, Don Ranly. News Reporting and Writing, 12th Edition, New York: Bedford/St. Martin's Press, 2018. This includes a workbook and an instructor's manual. The book also is published in Korean and Chinese. Don Ranly, Jennifer Rowe. Publication Editing, Dubuque, IA: Kendall/Hunt Publishing, 2001.